I have teamed up with some amazing shops and bloggers to bring you this amazing giveaway. 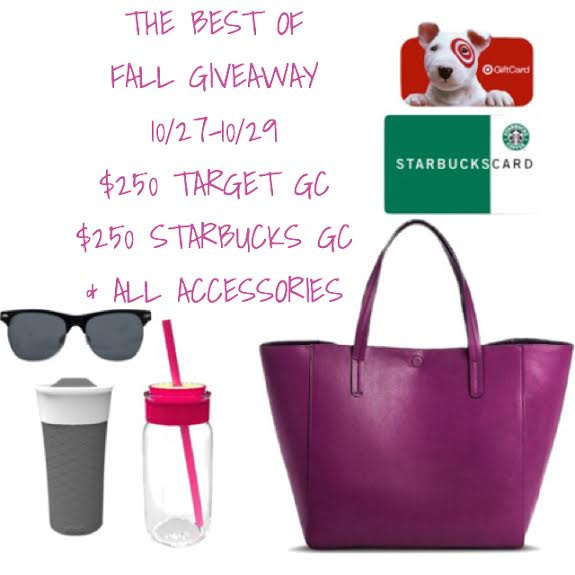 ONE WINNER will receive a $250 Target Gift Card, $250 Starbucks gift card, A Ello Product Coffee Mug, A Ello Product glass to-go cup, a target tote bag, and some cute target sunglasses. 2. Follow me @thinkingoutsidethepot and all other hosts in the loop, we always double check.